Recently I've had loads of friends have babies or announce that they are pregnant. Whilst it's a really exciting time (and slightly envious time - can I have another one soon?) I always like to find fun and quirky gifts for them. 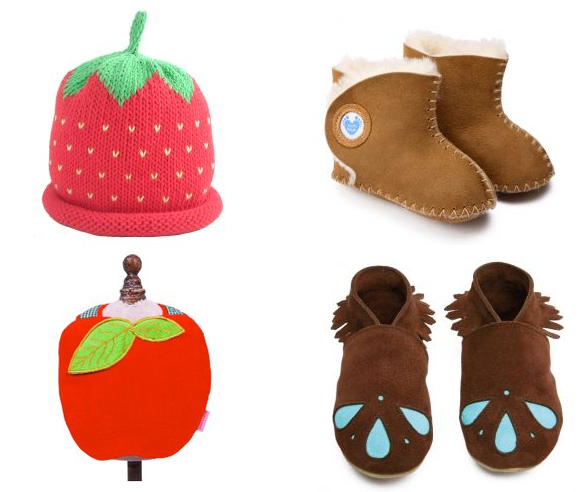 Babski Baby Boutique are an online store that sell loads of wonderful gifts for newborns that you may not have seen before. As well as working with some well known brands they also work with some new and more higher end quality products there is something that is perfect for a gift for your little one or someone else's. Merry Berries Baby Hats - How adorable are these hats! Sheepskin Booties - Okay, I know kids shoes are totally unnecessary but these are too cute. Beauty and The Bib - I love these bibs, I've never seen anything like them and always wanted something that was different and stood out from all the boring plain ones! Baby Moccasins - I've seen so many Moccs that are really expensive and have always been put off buying them until I saw these soft ones. Note: I was paid for this post.